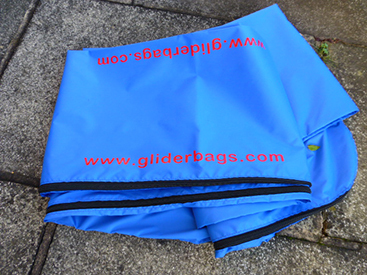 lightweight glider bags for Hang gliders and rigid wings. 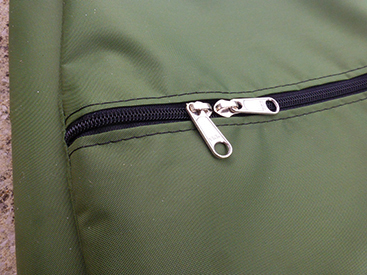 Full length No 8 YKK zip with 2 zip sliders. 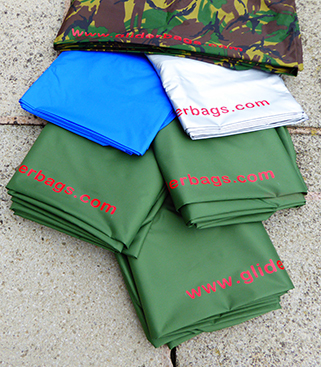 Made from lightweight 4oz PU coated polyester material the total weight is approx 850g for a 5.6 metre bag. The material is strong enough to resist small abrasions. The size when folded up is very compact to fit into most modern harnesses. Normally the volume is 50% of a standard Manufacturers bag, and up to half the weight. XC bags are shower resistant PU coated material. Perfect camouflage for your glider when you have landed out in a green grass field on a cross country flight. 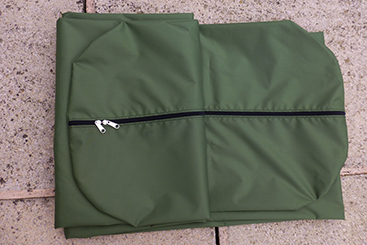 Rigid wing bags have heavy duty zipper No10 YKK with 2 zip sliders. The XC bags are a curved profile to fit the different circumference of the glider wing.